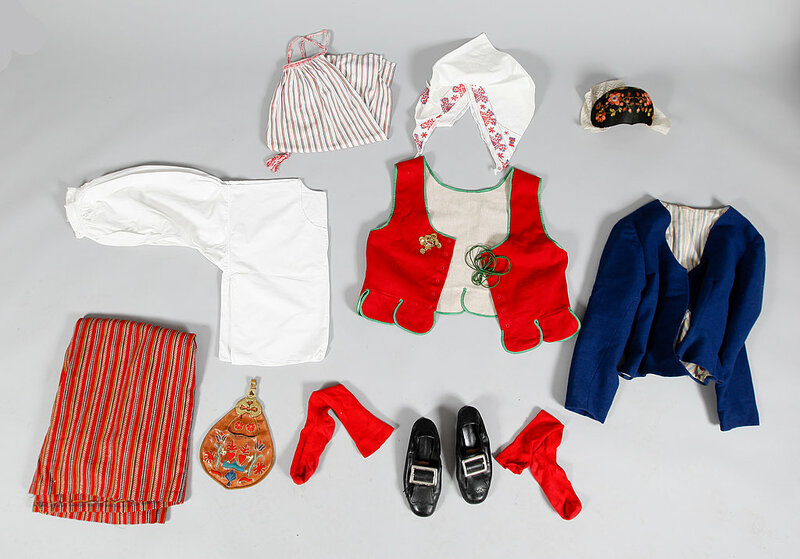 Being june 6th and the National day of Sweden it seems only fitting to tell you a bit about the fantastic display of national costumes that as a tradition are beeing worn today. 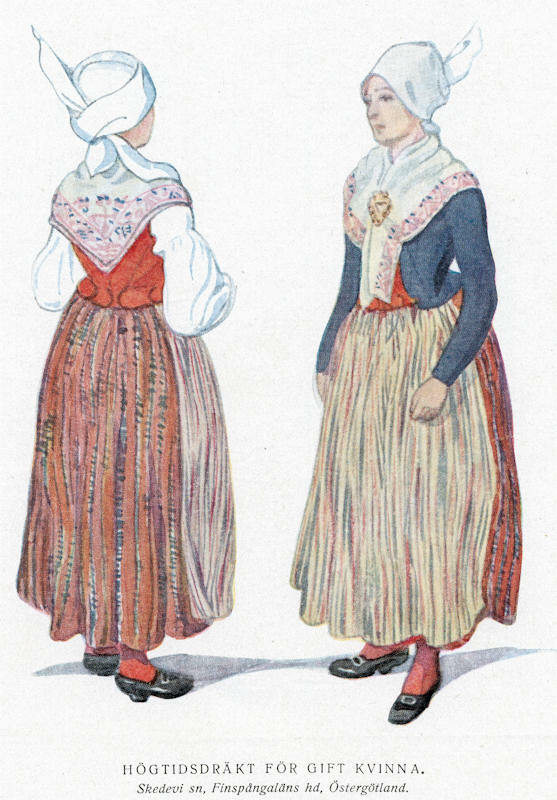 In the part of sweden where I come from (Östergötland) there are eight different folk costumes for women to wear (Gryt, Kinda, Nykil, Risinge, Skedevi, Svinhult, Vånga and Ydre). Which one you choose is based on where in the county you were born. Being part of a folk dancing team I’ve been wearing variations of these costumes since I was about 6 years old. The most common of all the national costumes from my county is “Skedevi”. 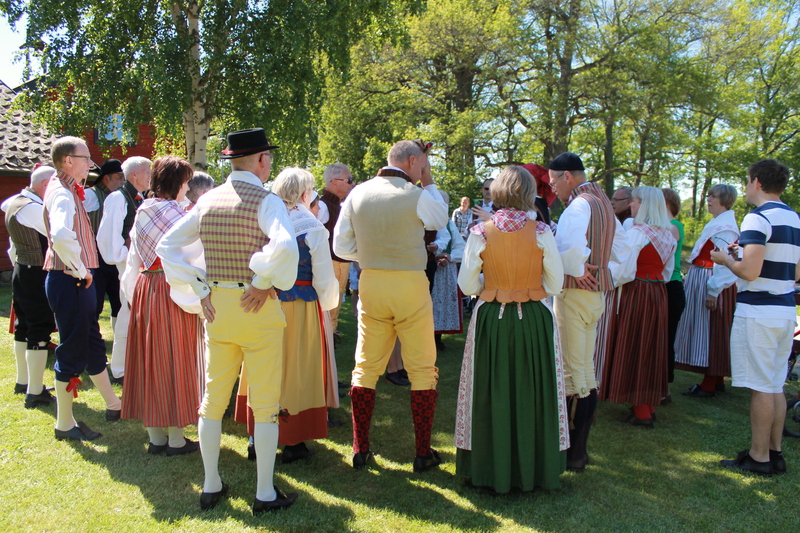 It is the one commonly known as “Östgötadräkten” (the costume of Östergötland). If you don’t know which one you want or should wear as a woman you most certainly should go for Skedevi. 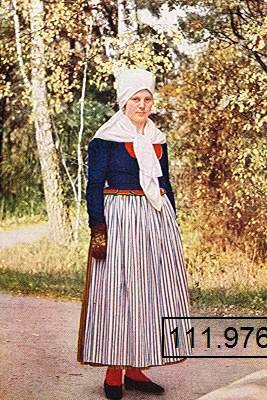 I want to show you some pictures of the beautiful and colorful variations of folk costumes in my county.